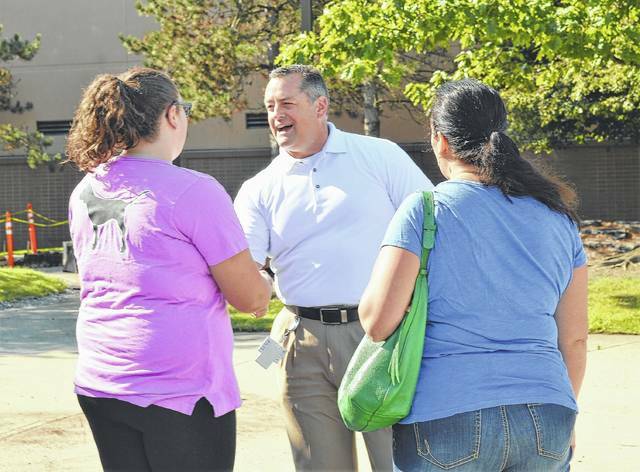 Berlin High School Principal Todd Spinner greets students and parents at Olentangy High School on Aug. 12. Spinner hosted two sessions for students who will attend Berlin High School for the 2018 to 2019 school year. 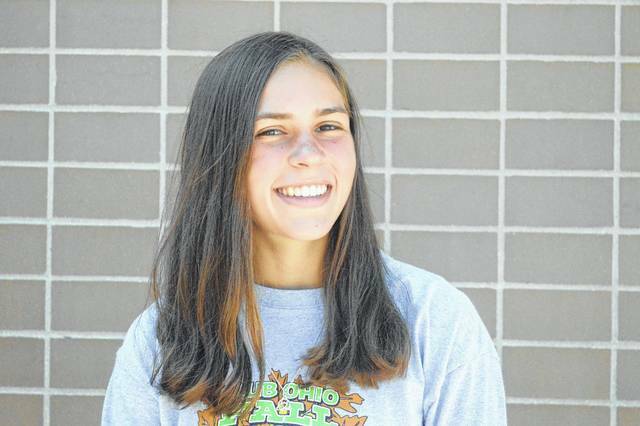 Students voted their top choices for the district’s fourth high school’s mascot and colors. Olentangy Berlin High School Principal Todd Spinner said he typically concludes his talks to students with a cheer that included the mascot. But he didn’t have that option on Saturday when he met some of his students for the first time at Olentangy High School. 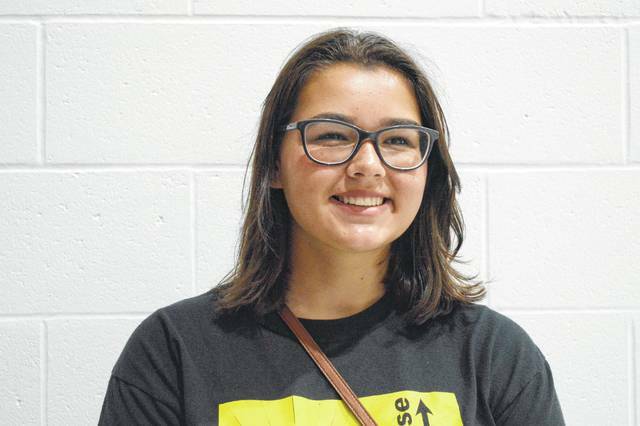 “I don’t know what to say because I don’t have something,” Spinner said at one of of two sessions during which students provided feedback on the school’s proposed mascot and colors. The Olentangy Local School District’s fourth high school is expected to be open for the 2018-2019 school year. Spinner greeted students at the high school’s entrance. He wore a white polo in order to not influence students’ selections. “At the end of the day, this is their school,” he said. About 120 students voted on their mobile phones to help select the top three mascots and colors. The district provided 10 options for the mascot and four colors after it surveyed about 2,500 people from its community. The mascot options were the Generals, Express, Bison, Rangers, Buccaneers, Eagles, Bears, Bobcats, Bruins, and Hawks. The color options were black, red, green, and light blue. One of those colors will be paired with the Olentangy Blue, a common color for all schools in the district. Spinner reminded the students that the mascot and colors selected now would be permanent. He said they should consider how the mascot and the colors would sound in a cheer and appear on a uniform. Spinner, Berlin Athletic Director John Betz, and the district leadership team will use the students’ input to select the top three mascots and colors at the Aug. 22 Olentangy Board of Education meeting. The final choices will be announced at the same meeting. 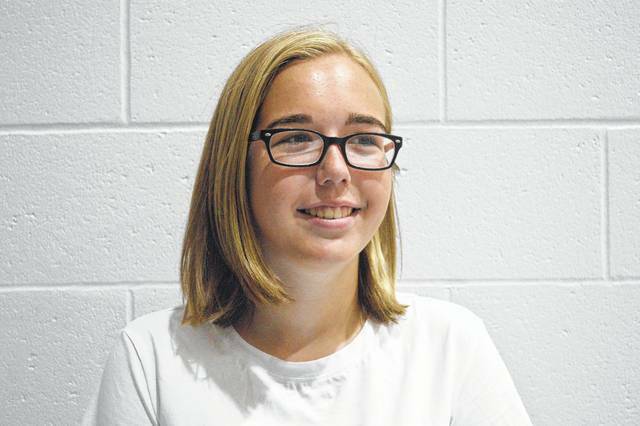 Molly Porter, who will be a junior at Berlin, agreed. “We get to set precedence,” she said. Porter attended the meeting with her friend, Morgan McNevin, and Amy McNevin, Morgan’s mother. Porter and McNevin said meeting the principal helped alleviate some fears of changing high schools. The current Olentangy High School students play on the field hockey team and were glad to hear the sport would be available at Berlin. Porter said the Express, or “train,” mascot would be a weird choice. McNevin’s and Porter’s top choices for the mascot were the Bobcats, Bears, and Buccaneers with black and light blue their top color choices. McKinley Hoffmann, another student, said her top choices would be the Generals, Bruins, and Bears. “I think it would hard to stick with a person mascot there,” she added. Hoffmann was more decisive on the colors.